We use environmentally sound metal recycling methods to dispose of your unwanted metal junk. Give yourself a little extra space and money in the bank by getting rid of your unwanted scrap metal junk. Recycling your scrap metal with us is simple! If you're located in Southampton and Portsmouth, get in touch. Looking for a well-established and experienced scrap metal recycling company in Southampton and Portsmouth? Let us provide you complete scrap metal recycling solutions. 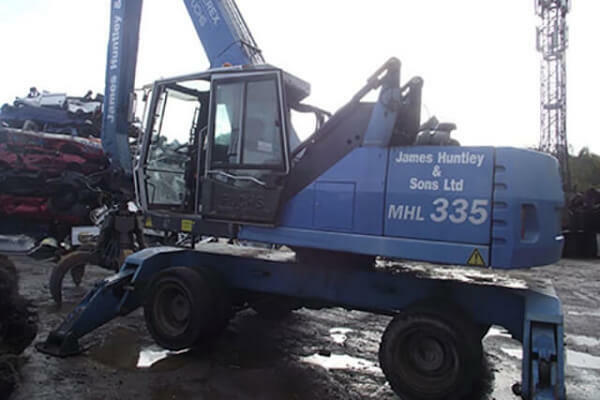 At James Huntley & Sons Ltd, you can be sure of honest pricing for your scrap metals. James Huntley & Sons Ltd was founded by the current owner's father, George Huntley Senior in 1956. The company was moved from a disused stable in Cross Street Portsea to Beck Street Portsea. In about 1961, Mr Huntley then moved to the railway arches at the hard which is now the footpath entrance to Gunwharf Quays. In 1968, the Farlington site was acquired by the family. On the 21st of August, 1969, the Petersfield site was opened and run by Mr Huntleys youngest son James. The Southampton site opened in 1971 and was then ran by Mr Huntley's eldest son John who now runs the Petersfield site. James left Petersfield to run the Southampton site in 1983 and has been there ever since. Want to clear out your property? Instead of just removing your scrap metal waste, come to us for responsible disposal. We will recycle your scrap metal and you make money in the process. Get in touch with us for efficient scrap metal recycling service.